Free £2k Breakaway (win £2,000 cash) – complete the Weekly Task – Win a Camera Run of the Big Brother House plus £200 – and there’s also the £1k Big Belter – and More at Big Brother Bingo! Always great promotions running – ones such as the Sneak Peek into the Big Brother House. Yes, you could win a sneak peek into the new Big Brother House plus get yourself £200 travel expenses as well. Are you a fan and cant wait to see the new House? Well you don’t have to if you get into the exclusive camera run before even the housemates move in! And you can take a friend along with you. But if you prefer straight cash than get in on the act for this year’s Eurovision Song Contest and win a share of that £1,000! All you need to do is play the £1k Big Belter on Saturday, 26 May. Keep the Weekly Task in mind each week, running between each Thursday to the following Wednesday. All you need to do is to carry out specific actions, earn points (for completing each action) and if you happen to be one of the top scorers you bag that week’s prize! If you wish to join in the fun, just log into Big Brother Bingo, visit the My Room page each Thursday and you’ll find the details for that week’s Weekly Task competition and the prize up for grabs that particular week! The Monthly Wrap Party – this is on every last day of any month. 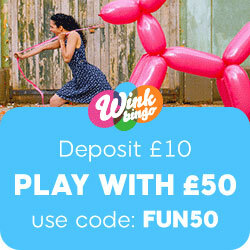 Win free bingo funds. Just pop along to the Diary Room, beginning at 7pm. There’s games every 15 minutes and you can win £25 worth of free bingo funds for just a very low 1p per ticket! This month its on Thursday, 31 May! Visit either the Lounge, the Store Room or the Garden, for great cash jackpots, free and 1p games, sliding jackpots (worth up to £500), 5 Line, 75 Ball and 90 Ball games. With the Store Room, you play from just 1p and can win restaurant vouchers, guaranteed jackpots, and m ore, every single day of the week. Visit the Lounge to enjoy yourself a chat (if you’re new it’s a fab place to start at BB Bingo). There is always both Weekly & Weekend promotions , where you can win yourself some Home Comforts, at Big Brother Bingo. Extra treats, luxuries lps and some great cash prizes to be won. This entry was posted in Online Bingo News and tagged Big Brother Bingo on June 20, 2012 by SuperAdmin.